It’s easy to host a party and keep visitors entertained, but if you want to make it their most memorable event and keep it legendary in their minds for years, you have to step up your game and call the best party hire experts in town. We believe that what makes the party going is the lively people participating in such an event, but that wouldn’t be complete without any party equipment. This is why we cater to any kinds of parties and provide them with the right equipment to create the perfect atmosphere. From house parties to wedding ceremonials, we have everything that you need to make a party a blast! 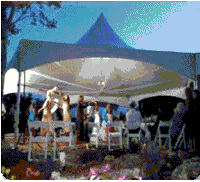 To host the perfect outdoor party, we offer palatial matrix marquees, simple instant marquees, plus complete wedding and event design support. Count on Having a Party for planning, design and all equipment and supplies transported and set up smoothly. Are you looking for laser lights to complete your disco-themed party? Catering services for your dream wedding? Or how about drink towers to complete the best party experience? 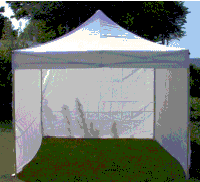 Here at Having A Party, our goal is to provide you with a remarkable customer service with our party hire experts! With the many things you have to think about to make your party a success, we want to take the hassle out of the entire process as much as possible. Having A Party delivers all the party equipment your event needs, from catering and floor covering to heaters and marquees, to any area in Melbourne! Right after the delivery, our team will be glad to build all kinds of installation in your reception and design them with the theme you have in mind. You probably have a party concept in mind but don’t have an idea how to organise it. Don’t worry! Give us a call and we would be glad to provide you with our expertise and high-quality equipment. Should you need furniture for your reception, we have tables, chairs, high bar, and even a portable toilet! We also have packages that can suit your budget and style. Having A Party can also provide you with a DJ to play party mixes and dance floors. We got mirror balls and lighting equipment as well, all to make sure your party is vibrant and exciting! Whatever you need to make a celebration a success, Having A Party has you covered. If you’re still not so sure about your upcoming party, we can have an on-site consultation and discuss everything that you may need, depending on your budget and theme. After consultation, we will then provide you the best option among the packages we provide. Once you make the decision, we’ll take care of the rest. It’s easy to host a party and keep visitors entertained, but if you want to make it their most memorable event and keep it legendary in their minds for years, you have to step up your game and call the best party hire experts in town. Give us a call today for an equipment hire quote or for more information. We employ a fleet of vans that can deliver anywhere in the Melbourne area. For those who prefer to pick up party supplies and transport themselves, please read this guide on picking up and returning your hired equipment. 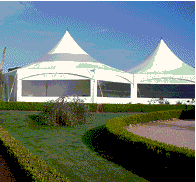 Marquee hire Melbourne: engineered to the stringent ISO 2001 standards, our premium quality popup, triangle, matrix and hexagon marquees are built to withstand extreme weather conditions while adding an elegant and sophisticated look to your event. Furniture party hire: everything you need to host the perfect party or large-scale event: market umbrellas, kids’ tables & chairs, portable toilets, tables and more. Party cooling and heating: host a fabulous party no matter how hot or cold the weather might be. Party fans and outdoor heating units for pickup or delivery. Weddings: if you’re setting up your own wedding ceremony, our dedicated experts can deliver wedding ceremony supplies to your location for an efficient and affordable set up chairs, erect umbrellas and other elegant hire furniture. 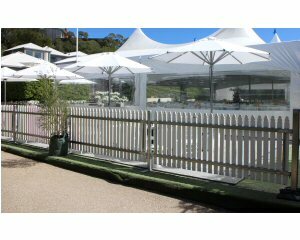 Party furniture hire: market umbrellas, portable toilets, tables and chairs for kids and everything else you need to party outdoors in Melbourne in style. 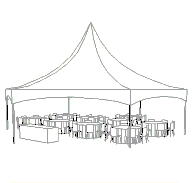 Party catering supplies: portable cool rooms, drink towers, catering supplies and plenty more to ensure that food and drink are served with professional elegance. Dry ice: add more fun and mystery to your event with a party effect that is very easy and safe to use. Great for birthdays, weddings, Halloween, and even corporate events. Disco lighting: hire lasers, floodlights, smoke fog machines and other accessories to give your party some extra special flair.